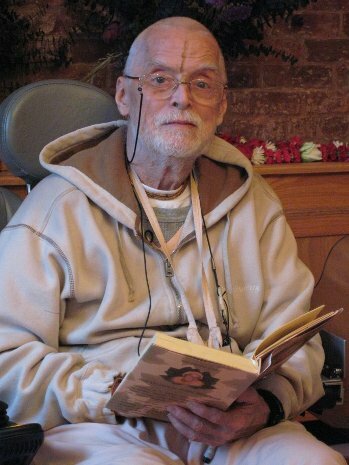 Swami Bhaktipada, who built a massive farm community and a Palace of Gold that became the crown jewel of the U.S. Hare Krishna movement before scandals and criminal charges led to his downfall, died Monday in India, his biographer said. He was 74. Bhaktipada had been hospitalized in July in Thane, India, with a collapsed lung and a bleeding brain, said spokesman, former disciple and biographer Henry Doktorski. His kidneys began to fail last week, and Bhaktipada died Monday morning. Under Bhaktipada’s leadership, New Vrindaban grew into what at one time was the nation’s largest Hare Krishna community. But the community’s membership waned after the swami was convicted of racketeering and sentenced to prison time in the 1990s. “Although he played a positive role in the Krishna movement’s earliest years, he later severely violated the strict standards expected of a Krishna devotee, especially a leader,” said community spokesman Anuttama Dasa. Also known as Kirtanananda Swami, Bhaktipada had been born Keith Ham in Peekskill, N.Y., the son of a Southern Baptist minister, who became a Krishna swami in 1966. Without the permission of his leader in India at the time, Doktorski said, Bhaktipada set out to “westernize” the religion by eliminating some traditional elements and chanting prayers in English at a New York City temple. He was evicted from the temple and left New York in 1967, but was later forgiven. In the late 1960s, Bhaktipada and his lifelong partner, the late Howard Morton Wheeler, formed New Vrindaban, the community with a famed Palace of Gold. They started with about 132 acres and eventually acquired nearly 5,000, becoming a destination for pilgrims in the International Society for Krishna Consciousness, or ISKCON. 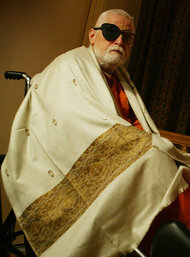 Bhaktipada took over the community in the 1970s but was in trouble with ISKCON by 1987, when the governing body expelled him for “moral and theological deviations,” Doktorski said. Sankirtana Das, a New Vrindaban member for more than two decades, told The Associated Press in 1999 that the community had flourished in the late 1970s and had more than 600 members by 1985. That year, Bhaktipada was attacked by a visiting devotee and hospitalized in a coma for a month. In 1987, the FBI raided the community, seizing records and computers, Das said. Bhaktipada and New Vrindaban were excommunicated from ISKCON, and members began to leave as Bhaktipada formed a new League of Devotees. Prosecutors later accused Bhaktipada of ordering the killings of two devotees who had threatened his control of New Vrindaban. One dissident, Charles St. Denis, was killed in 1983 at New Vrindaban. Another, Stephen Bryant, was killed three years later as he sat in his van in Los Angeles. Bhaktipada denied any involvement in the killings, though another man was convicted of the murders and testified that the swami ordered him to commit the slayings. Prosecutors also alleged that Bhaktipada had amassed more than $10 million through illegal fundraising schemes, including the sale of caps and bumper stickers bearing copyrighted and trademarked logos. He appealed his 1991 racketeering conviction, then pleaded guilty at a second trial in August 1996 and was sentenced to 20 years. A judge reduced the sentence to 12 years in 1997, citing Bhaktipada’s poor health. He’d suffered with severe asthma and complications from childhood polio. Bhaktipada was freed four years early from a prison in Butner, N.C., in 2004, but he was barred from returning to New Vrindaban and eventually moved to India in 2008. Dasa said Bhaktipada eventually lost the support of his New Vrindaban followers and left the community entirely in 1994. Shortly afterward, the community petitioned to rejoin ISKCON, and it was restored to full membership in 1996. The conditions for rejoining ISKCON included adhering to traditional worship and new accountability standards, and demonstrating a willingness to work with about 50 other North American temples, Dasa said. Today, New Vrindaban has about 200 members living on or next to the property. It remains a destination for pilgrims, drawing crowds for festivals, major holy days, and weekend or weeklong retreats. About 25,000 people visit annually, enjoying the ornate palace, a rose garden with more than 100 varieties, and an organic farm and dairy.